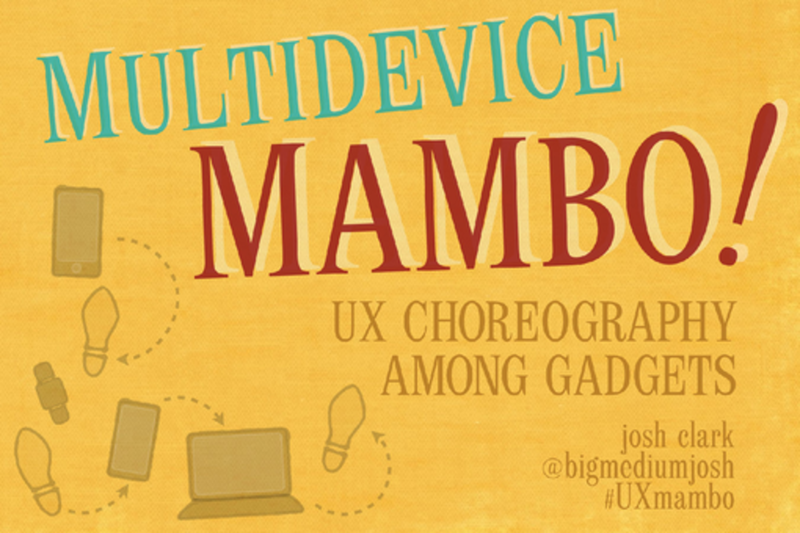 Your UI is no longer a dance solo; it has to interact with many devices and platforms. Even for a single service, the stage is jammed with digital performers. We leap from phone to tablet to PC—and now watches, appliances, even jewelry are lighting up with new intelligence. Learn to choreograph experiences with the whole troupe in mind. This talk spins through a whirling fandango of practical techniques for helping users glide among interfaces, even step between digital and physical. Know when your UI should lead or follow. Adopt the rhythm of sound and silence. And most of all, avoid stepping on the user's feet. UI design is cha-cha-cha changing; learn to keep up with the tempo.